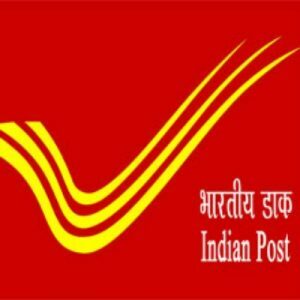 India Post Office Recruitment 2017 – India Post invites application for the post of Gramin Dak Sevaks (GDS) in all state postal circles across India. Particularly, 1236 vacancies are allotted in Jharkhand postal circle, 127 vacancies in Telangana postal circle, 190 vacancies in Andhra Pradesh Postal Circle and 93 vacancies in Odisha Postal Circle. Eligible candidates apply online for Post Offices/ Postal Circles GDS Recruitment on or before the last date. Submit online application form @ www.appost.in/gdsonline/Home.aspx. Online application submitted after the last date and incomplete application will be rejected. Before apply for the job, candidates should go through the eligibility criteria in official notifications. Candidates don’t wait till the last date, apply as soon as possible. This Page explains India Post Office Recruitment 2017 in brief. India Post is a government of India agency, executing postal services in India. It has been functioning since 1854. Headquarter is located in Sansad Marg, New Delhi until now. They provide services such as letter post, parcel services, EMS, delivery, freight forwarding, third-party logistics and also deposit account. Presently, there are 22 postal circles in India and it has more than 4 lakhs employees are working in this department. 10th standard from a recognized institute/Board. Check official notification for complete educational Qualification. Age Limit : Age should be minimum 18 yrs and maximum 40 yrs. Offline Payment – Post Offices. Check the list of post offices for fee payment in the official website. Go to official website and then click the appropriate vacancies link. Download advertisements and then read the notifications carefully. Click new registration in home page and register your candidature. With the use of registration details apply online for GDS vacancies. Select the appropriate postal circles while applying online.